This is one of my husbands favorite chicken dishes. The two main ingredients are chicken and yogurt if you have all the other staple spices in your pantry. This is best as a two day process -- marinate overnight on day 1 and cook on day 2. 3) Cover the pan and cook the chicken over a very low heat for 10 to 15 minutes until chicken is tender and the gravy is rich. Add water if needed. Add coriander optional only. Delicious! 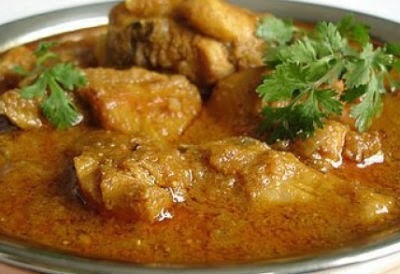 4) Serve with hot roti or Naan, something to soak in the yummy sauce!